© AP Photo/Andrew Harnik CIA Director Gina Haspel, center, attends a cabinet meeting in the Cabinet Room of the White House, Thursday, Aug. 16, 2018, in Washington. 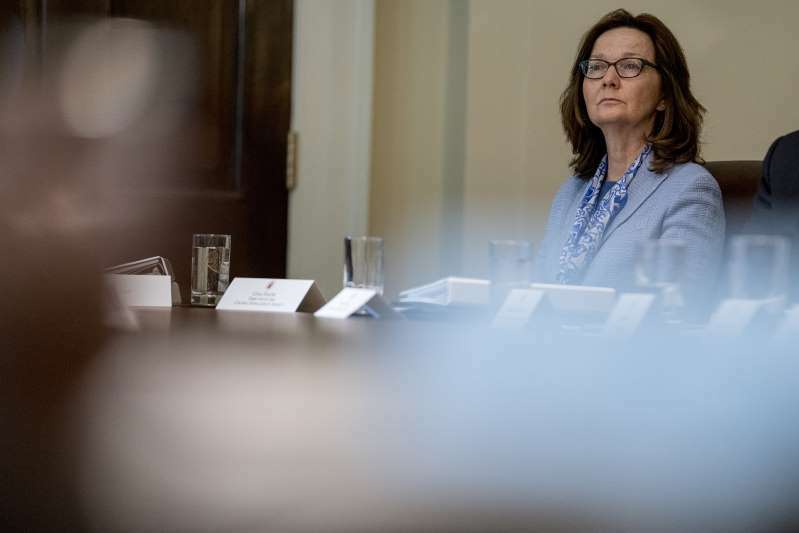 CIA Director Gina Haspel was traveling to Turkey on Monday to help investigate the death of Saudi journalist Jamal Khashoggi, two sources familiar with the matter said, as security agencies examined what role Saudi Crown Prince Mohammed bin Salman may have played in the case. The Khashoggi case has caused international outrage and frayed political and business ties between Western powers and U.S. ally Saudi Arabia, the world's No.1 oil exporter. Six U.S. and Western officials said on Monday they believed the crown prince, who is Saudi Arabia's de facto ruler, was ultimately responsible for Khashoggi's disappearance because of his role overseeing the Saudi security apparatus but that they lacked hard proof. Despite extensive news leaks alleging that Turkey has audio recordings documenting Khashoggi's torture and murder, neither U.S. nor allied government agencies had been granted access as of Monday to such evidence, the officials said. Trump said last week the prince "totally" denied any knowledge of Khashoggi's disappearance. The Western government experts' confidence that Prince Mohammed had some responsibility for the operation relies heavily on their assessment of the dominant role he plays in running the Saudi government, said two sources familiar with intelligence reports. “Difficult to say MBS did not know about this,” a Western security source said, using the crown prince's initials. That leaves open questions such as whether the Saudi operation in Istanbul was always intended to result in Khashoggi's death or whether the original plan was to kidnap and transport him to Saudi Arabia. Trump said on Monday: “I spoke to the crown prince. We have people over in Saudi Arabia now. We have top intelligence people in Turkey. We're going to see what we have. I'll know a lot tomorrow." Turkish officials provided U.S. and Western officials with verbal accounts of evidence they say they collected documenting Khashoggi's fate, the officials said. One European security source said the information Turkey had shared verbally was "very detailed and they sound confident."